In the case of modular gradually become mobile phone design trends, other digital gadgets are also beginning to try new forms of design. 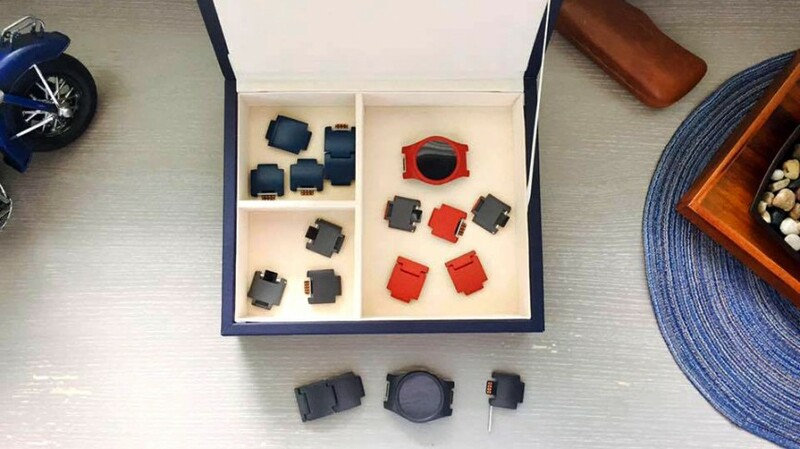 In fact, from the Kickstarter the Blocks of the raised platform smart watches, had appeared as early as 2013, has now entered the stage of delivery. 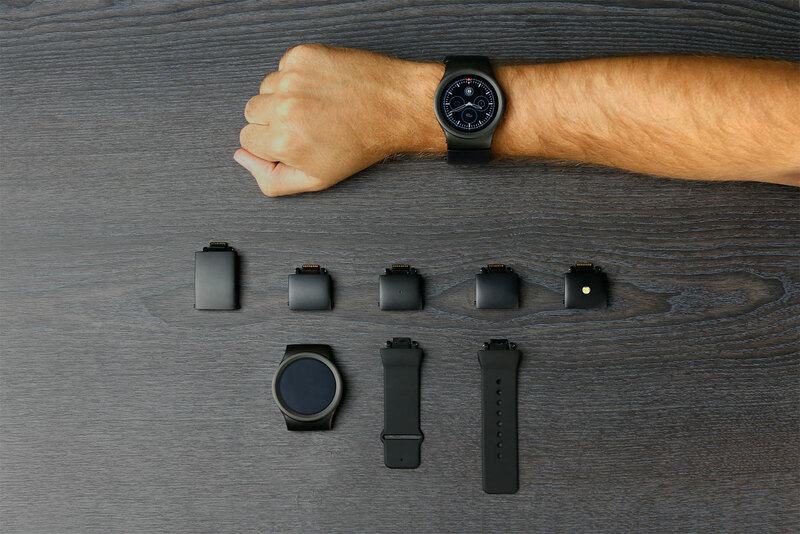 So, the modular smart watches what is unique about? Learn about the together. Blocks the core modules of intelligent watches with Android Marshmallow series, can be compatible with the iPhone and Android phones. This part mainly is the circular dial watch, including a 1.4 -inch AMOLED screen 400 * 400 pixels, the gorilla glass panel, 4 with qualcomm Snapdragon 2100 processor, 512 MB RAM + 4 gb ROM, 300 mah battery, the wireless network, all kinds of sensors, such as parts, are integrated in the dial, basically remain the mainstream of the Android Wear standard. Blocks of integration in wrist watches with modular design, looks very cool. Has now launched the heart rate sensor, GPS module includes integration module and battery health, in addition if now purchase in advance, can also get a built-in altitude, temperature and pressure sensors “adventure” module, which also integrates LED flashlight. Sounds, strap type module has a very broad prospect of extension, is expected to Blocks will release including cameras, extra storage camera module, as well as the health of the built-in ecg and air quality sensor module. Of course, if the Blocks options open SDK, perhaps can also attract third-party manufacturers to launch more modules. Blocks of the kit includes four modules, the price is $330, with black, white, red three color optional, will be in September to early supporters delivery, officially opened on October sales. In addition, the user can also choose the core modules and ordinary strap, this version of the price of just $195, compared to $445 limited edition.